Faster swipe to the camera, smarter search recognition, and intelligent sharing suggestions. In this post, we’ll detail all the upcoming camera and photo improvements in iOS 12. The world’s most popular camera is soon to be getting even better. We use iPhone cameras to capture over a trillion photos every year. That’s why Apple’s next software update will improve how we organize, share, and find our innumerable snaps. The following camera and photo improvements in iOS 12 will make it simpler than ever before to rediscover all the great photos on your iPhone. 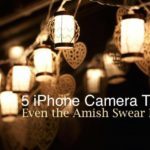 Although many are still waiting on the next hardware update to iPhone cameras, we’ll all enjoy a software enhancement with this autumn’s release. iOS 12 brings a 70% faster Swipe to Camera function, making it possible to capture memories in an instant — without needing to unlock your iPhone first. This useful feature, freshly sped up, means you’ll always be ready to snap a picture at the exact moment you need to. iPhone Plus and iPhone X users will benefit from lighting enhancements in the Portrait camera mode. 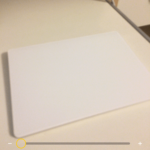 Using software masks to separate the foreground and the background, iOS 12 can broaden the lighting dynamic between the two. Further separating your face from the scene behind it. The range of effects are likely to be further increased in future updates but it’s plenty to get stuck into for now. Sticker packs are already available to download from the App Store for use in iMessages; iOS 12 will allow you to use them in videos. Thanks to facial tracking software the stickers will dance across the screen as they follow the movement of your face. 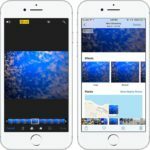 With easy access to such a phenomenal camera, it’s easy to watch our iPhone photo libraries bloat to unmanageable sizes. That’s why iOS 12 brings further improvements to the search function in the Photos app. It will allow you to track down the exact pictures you’re looking for. What’s more, you can filter through your photos by searching for multiple things at once. While this is nothing new to iOS, Apple’s enhanced recognition should make it quicker and easier than ever to track down exact images you’re looking for. After it’s successful implementation in the Apple Music app, get ready to see a For You tab appear in Photos on iOS 12. This new page will replace Memories and present you with a custom selection of photos from your library. 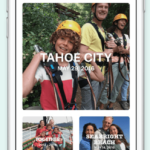 The For You tab will present Memories, Top Moments, Featured Photos, and Effect Suggestions that encourage you to make use of iPhone’s editing capabilities to enhance your existing photos. Alongside these features, you’ll be updated on Shared Album activity. iOS 12 will even suggest selections of photos to share with your contacts. Photo sharing is completed using iMessage’s end-to-end encryption. As a result, your photos remain safe and secure as they’re transferred in full quality to friends. Analysis of your library lets iOS 12 suggest specific contacts to share with. Specifically, people who might enjoy those particular photos (perhaps they are in them, or were at the same event). After a friend receives your photos, they’ll be prompted to send you relevant photos of theirs! These camera and photo improvements in iOS 12 are sure to keep us snapping happy for years to come, capturing more perfect moments and spending more time enjoying what photos we already have. Take a look at Apple’s website, or check out our iOS 12 coverage, for more information on what to expect in this new software update. When trying to transfer pictures from I phone 6S error code OxE80002D comes up. Any suggestions? Those type of errors (OxE) usually means there is a problem with iTunes recognizing your iPhone. Oftentimes, using another cable fixes this. So if you have another lightning cable available, try that. Make sure you close iTunes and restart your computer before connecting to your iPhone via iTunes again. If a different cable didn’t help or if it’s not an option, try a different USB port on your computer. 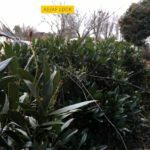 Another possibility is if you installed some type of security software on your computer recently–these can cause problems connecting to iDevices. Are you using a Mac or Windows PC? Let us know if you need further assistance.